Rabbi Nachmans approach to the Noahide nations appears to be addressed in his Parable of the "Master of Prayer". This appears to give insight into the origin of the 70 nations and their present purpose and final rectification. It specially implies a "rectification" and reform of existing national faiths as opposed to the gradual "conversion" of the world to a new universal Noahide faith. 4.The scattering of righteous sparks, as "seeds"
7.The true leaders wandered in search of their people. 9.He is joined by the holy leaders of each nation. 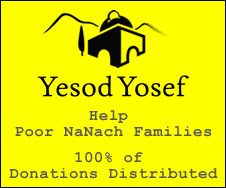 Josef had ten brothers-- "be-zechout Josef ha tzaddik Efraim ve Menashe"- who are these? nu tzidi kadera what is his take? 12 tribes and 70 souls. Juda is there and levi and Josef and Efraim and Menashe. I consider all of these Israel! On the other hand those that don't believe in Na Nach. Are NOT "stars" not part of the Kingdome of David. They will all be consumed by their lust.